Although not commonly seen as such, the way public art enlivens our urban spaces means it’s an integral component of city building. Public art is city building. It may be more difficult to imagine how a work of art could have the same influence on our urban areas as say, housing or mobility. But public art has an incredible impact on the health of our cities, especially when it comes to public space. Public space works best when it fills a multitude of needs in its community. A park that isn’t just greenspace, but also a place to play, a route to get to work or a central meeting point for socializing. Public spaces also allow people to feel more involved in their city, from the elderly, to the young and all ages in between. The benefits are numerous. 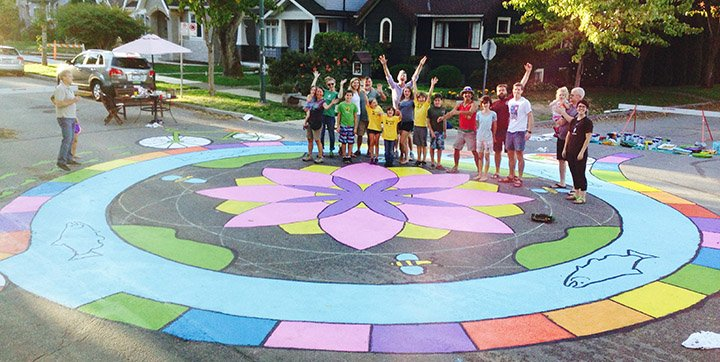 Investing in public spaces and public art is investing in the health of our city and those who live in it. In many ways, public art can kickstart the formation of new public spaces or reactivate existing ones. Public art has the ability to transform spaces in the city that are sometimes ignored or forgotten. It encourages people to gather, to connect to one another and simply to be present. It also can change the perception about an already existing public space. When we began working with the Toronto Region Conservation Authority and the City of Toronto on reimagining the now-named Don River Valley Park, we envisioned a public art program that would activate the Lower Don Trail. More than two years later, the Don River Valley Park has been home to a series of installations inspired by the Valley itself, from temporary performances drawing the area’s past to Duane Linklater’s Monsters for Beauty, Permanence and Individuality, a series of cast concrete gargoyles. Part of the intention around developing an Art Program for the Park was that it would turn a space into a place for Torontonians. We are always thrilled when we see people just relaxing and spending time in the Valley among the gargoyles. Whether it be a meeting place for friends or a place to rest your bike, Duane Linklater's sculptures are helping the Lower Don be seen as a destination, not just a passageway. For 100In1Day Edmonton in 2017, Linda and Kayla led an Instagrammable Wall Photo Walk through the downtown. 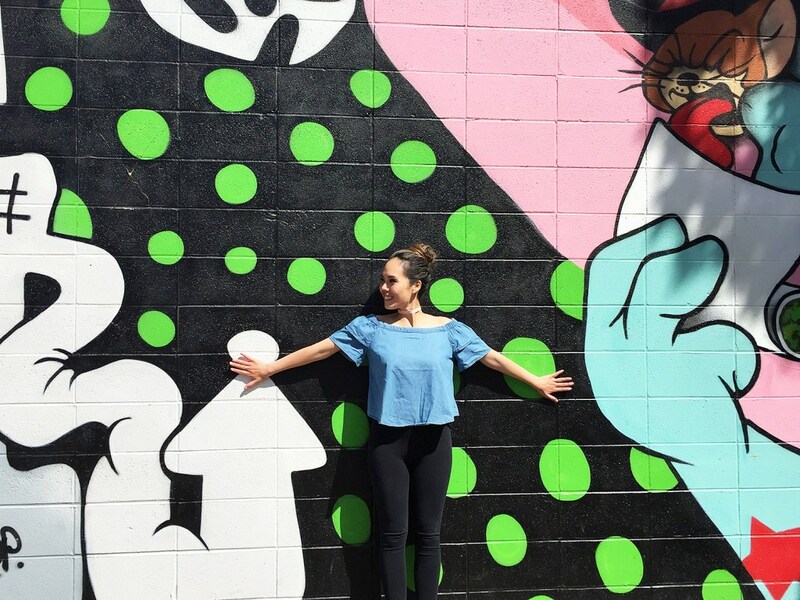 They invited residents to join them in search for the perfect urban backdrop for their photos, encouraging them to snap their photos in front of beautiful murals. For this intervention, public space, public art and public participation collided and Edmontonians saw their city through a new lens — their camera lens. A recent intervention in Montreal is also encouraging participation, this time with the art itself. Will always be a big kid 😬 We had fun on these colourful musical swings 🕺👯‍♂️ 🎶🎵 @lilian_saidi @onniesaidi . . .
21 Balançoires is a set of swings, each with an assigned note. When enough passersby start swinging, a complete melody plays. Whether it’s simply bringing people into an underused space or encouraging participation and interaction, it’s clear public art is city building.